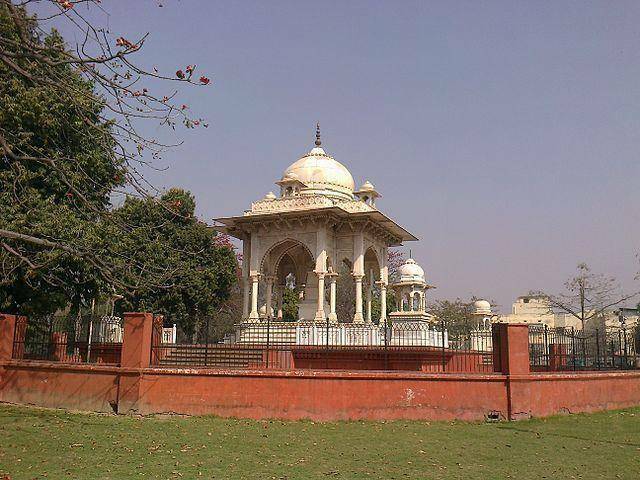 A marble memorial building which was established in Victoria Park to honor the great Begum Hazrat Mahal on August 15th 1962 is called as “Begum Hazrat Mahal Park”. Begum Hazrat Mahal was stunningly gorgeous and courageous woman. She was first wife of Nawab Wajid Ali Shah. She rebelled against the British Raj in India and played a vital role in our Freedom Struggle in 1857. As Nawab Wajid Ali Shah was exiled by British East India Company to Kolkata, it was Begum Hazrat Mahal controlled and took care of all affairs of Awadh Dynasty. When British took over the control of Lucknow again, she retreated and got asylum in Nepal where she died in the year 1879 and buried in fameless Jama masjid ground.